Developer - Richard Hawley. 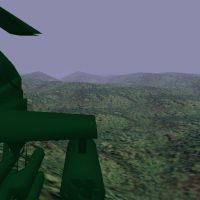 Developer Richard Hawley is famous in the Helicopter simulator community for his contributions to Longbow , Enemy Engaged: Apache vs. Havoc and the Enemy Engaged - Comanche vs Hokum strategy guide.
" 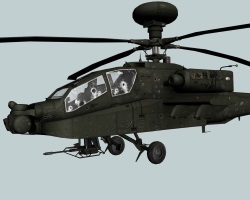 Since 1996, crazed rotor-heads have wanted more of that paranoid, heavy metal, hi-tech thrill-ride that is Longbow 2. FIVE years on and the uber simulation of helicopter combat is still as exciting as it ever was, unfortunately our desktop computers and operating systems have moved on making it difficult at best, impossible at worst, to fly our favourite sim. 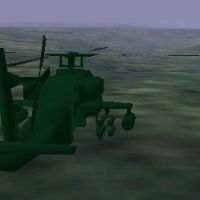 After a series of 3D tests, it was clear I had something that actually looked a little like one was flying over LB2 type terrain, only in much higher screen-res. The basic 3D shapes I had we're OK for simple tests, but it became clear that this project is going to need a considerable amount of 3D model art and other outside assistance. And so Combat-Helo.com was created to help spread the word and provide a forum for feedback and source materials."